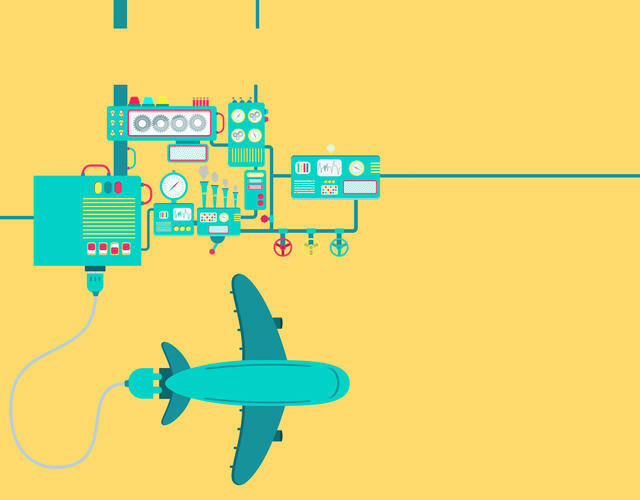 We break down upcoming business jet avionics architectures and capabilities in development with several of the world’s largest business aviation OEMs. 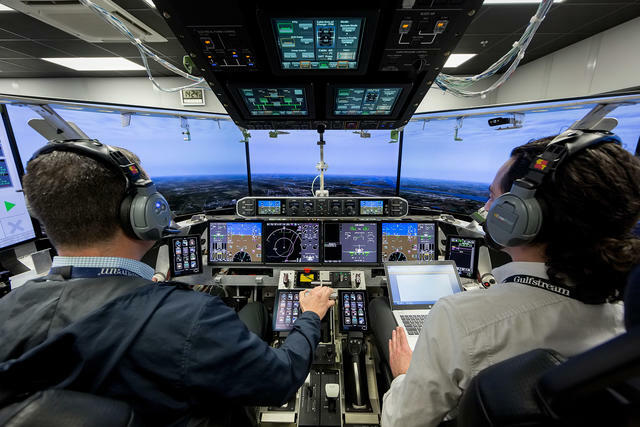 Gulfstream Aerospace’s G500/600 data concentration network is setting the standard for the next generation of business jet avionics. The OEM is flight testing more aircraft than it ever has at one time, including four developmental versions of the 500 and 600, according to Gulfstream VP of Flight Operations Colin Miller. Flight testing is providing real feedback about data concentration network (DCN) on those model aircraft. Supplied by GE Aviation, the DCN uses an Ethernet backbone, and the network itself has smart functionality, like the ability to host coding and facilitate computer language translation. On the DCN, a new computer can be added in one part of the aircraft, become interfaced with the network and make its information and data available to other computers and systems throughout the airplane. A major way DCN evolves the concept of an airplane central network is that it goes beyond just allowing many systems to talk on the same bus. Instead of just carrying information, it can actually perform functions. For example, when a pilot starts the engines, the DCN will start the navigation lights and APU fuel pumps. On previous Gulfstream aircraft, these functions would have been controlled separately. The other major avionics feature of the G500 is its active control sidesticks, which are electronically linked by a dedicated digital bus. 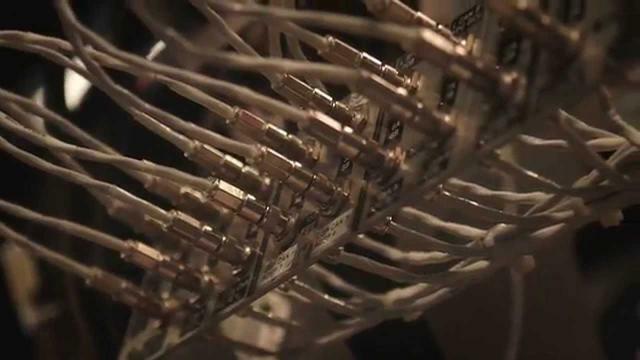 The sticks move in sync, controlled by internal electric motors. 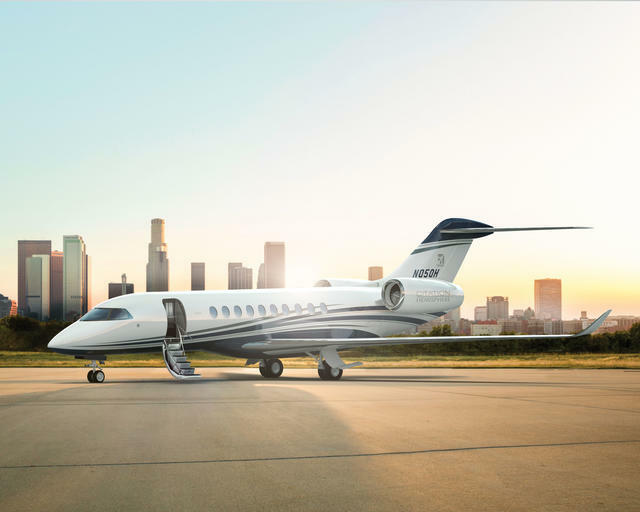 Meanwhile in Wichita, Kansas, Textron Aviation is moving forward with high- and low-speed wind tunnel testing toward the final configuration of its next-generation large cabin business jet: the Cessna Citation Hemisphere. Hemisphere also features active control sidesticks, with flight control computers and remote electronic units supplied by Thales. 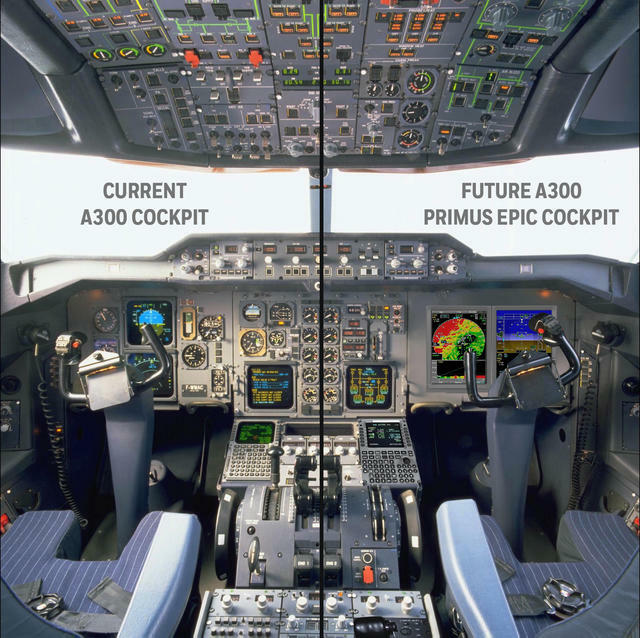 The latest version of Primus Epic from Honeywell was recently announced for a major upgrade of UPS Airbus A300s, with one of the central concepts focusing on the use of processor cards instead of individual components to control functionality. 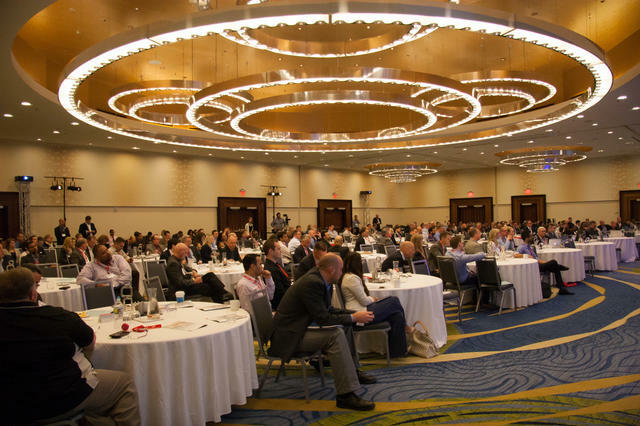 Textron’s LinxUs has evolved and is also featured as the Hemisphere’s maintenance and diagnostics reporting ecosystem. In Stans, Switzerland, Pilatus has mated the wings with the fuselage of the first production PC-24. In Montreal, Bombardier’s three flight testing versions of the Global 7000 have surpassed the 500-hour flight-testing milestone and are on track for entry into service in late 2018. The table on the opposite page features the status of next-generation aircraft types. 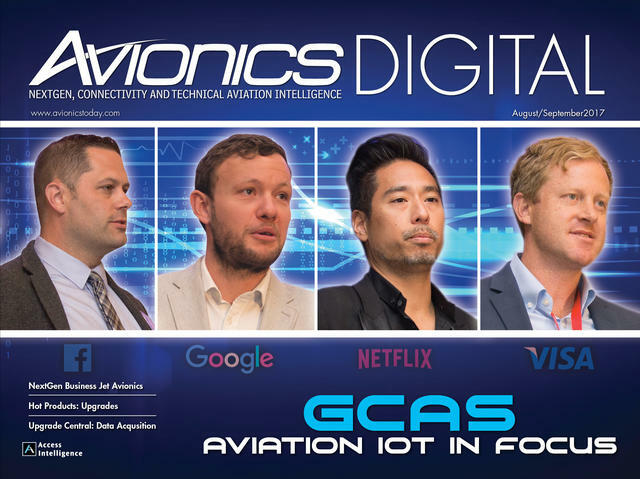 Designing, developing, proving and certifying new avionics technologies is the most expensive process across most major technological industries, and a long and risky one. Therefore, it’s a difficult question for OEMs to predict what technologies they will feature on future aircraft types, beyond the current next-generation lineup. “We are still early in the design and development on the Hemisphere to discuss future avionics upgrades,” said Thress. Similarly, Gulfstream’s Miller said the company’s main focus right now is getting the G500 ready for entry into service. 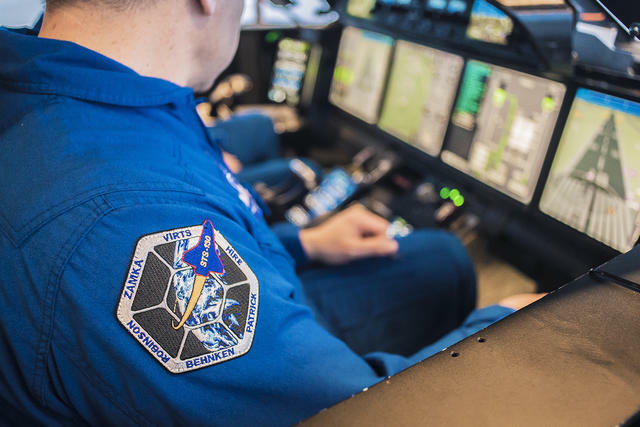 “Regarding philosophy and design goals, we’re trying to build airplanes that are simpler to operate that provide higher situational awareness and lower the task load for pilots,” said Miller. Business jet operators also help to provide insight on what will be included in future avionics designs. All the major OEMs have customer advisory boards. Operators such as VistaJet also learn about new technologies and provide feedback on existing airplanes through committee work. “We like commonality,” said Ron Silverman, president of the U.S. division of VistaJet, which has an all-Bombardier fleet of Challenger and Global jets. Silverman noted the interior design of VistaJet’s airframes borrows aesthetics and even scents from five-star hotels like The W chain. “We have the youngest fleet of airplanes in the field, and we pay very close attention to the cutting edge technologies,” Silverman said. Since airborne avionics computing technologies typically lag five to six years behind consumer computing, what continuously has occurred over the past decade is a mimicking of COTS concepts and capabilities used for ground-based purposes such as information-sharing systems for businesses and government agencies. 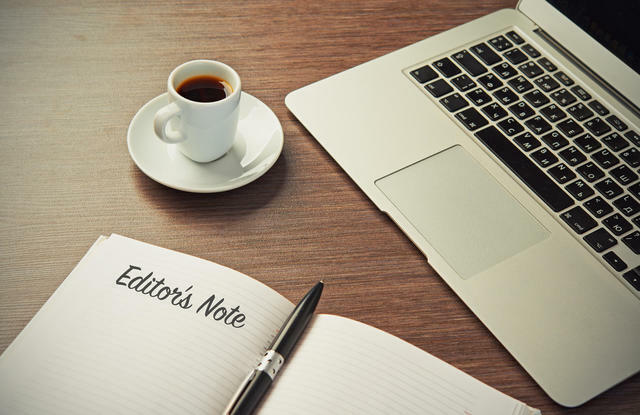 Thus, by analyzing some of the newer technologies featured by the Intels and Ciscos of the world at shows like Consumer Electronics Show (CES), future aircraft computing technologies can be foreseen. At CES 2017, for example, graphics processing units and computer chip maker Nvidia unveiled Xavier, a supercomputer designed to provide the central processing functionality for self-driving cars. The company also debuted its “AI Co-pilot” software, which can provide visual and audio alerts to drivers about hazardous driving conditions. Intel revealed the world’s first 5G modem, also at CES 2017. At Computex 2017, it introduced its new X-series processors with four to 18 cores and teraflop performance capability. 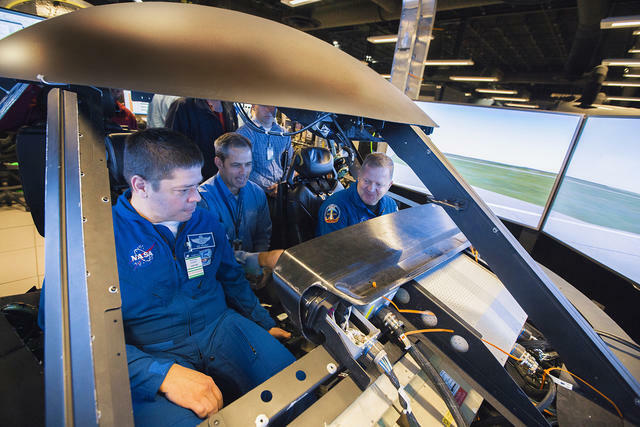 Looking at aerospace avionics research and development itself, Honeywell Aerospace is testing the use of its Primus Epic for supersonic flying. Both Honeywell and Rockwell Collins are researching voice-activated cockpit technologies. Rockwell Collins has updated its ACARS to IP network functionality. 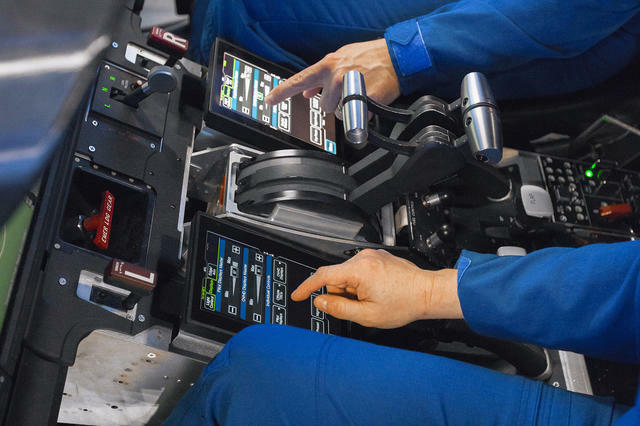 Thales also continues to research its full integrated all-touchscreen 2020 concept, which is adaptable to business jet airframes. Innovative Solutions & Support just received an supplemental type certificate on its auto-throttle turboprop EFB-integrated cockpit for PC-12s. Therefore, the next generation of business aircraft avionics will increasingly become software intensive, flying with central networks that are adaptable more and more by software and smaller LRU replacements. Furthermore, the concept of using active inner-loop flight control computing to fly the aircraft with pilot input and decision-making for unusual situations or when faults or hazardous weather occurs will continue to evolve. capture capabilities. 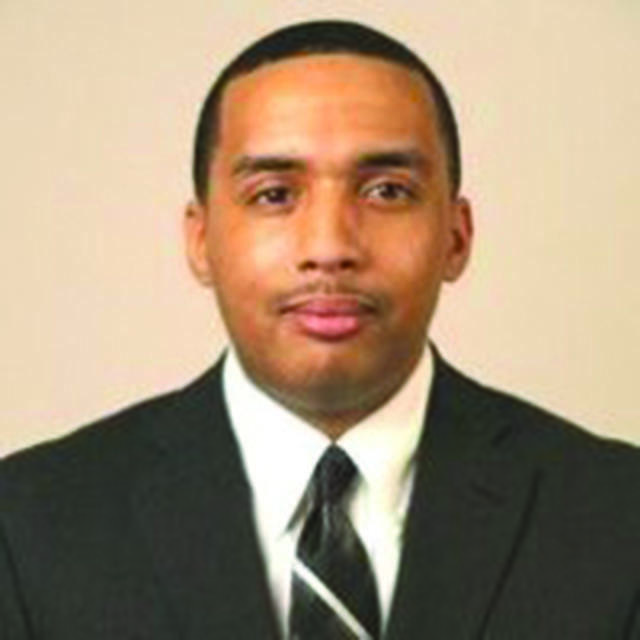 So when something does happen in the air, we don’t have to worry about the crew trying to fix it in real time,” said Greg Paxson, a partner and senior business aviation maintenance consultant for Atlanta-based Business Aviation Solutions and a 20-plus-year veteran of charter carrier maintenance departments. He said as the manufacturers increase control and function of the airplanes through software, improving reliability of the software has to be a focus.